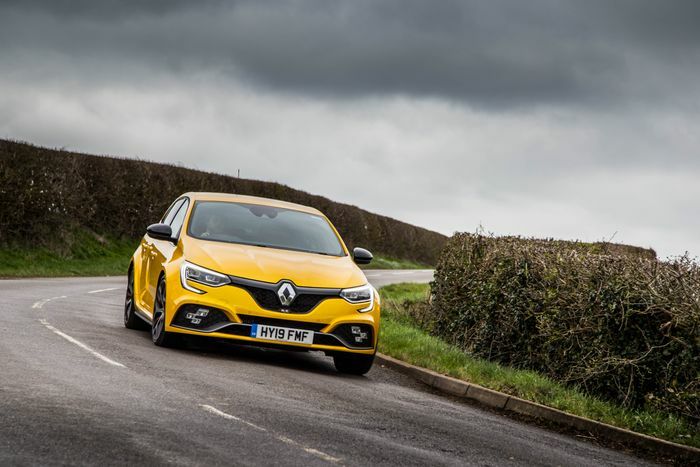 I shouldn’t have been surprised that the Megane RS 280 didn’t quite do it for me when I drove it for the first time last year. 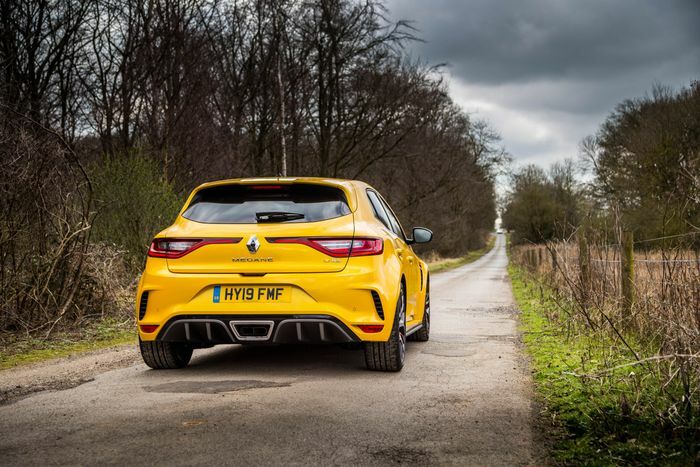 After all, Renault Sport’s latest hot C-segment player merely continues a trend set by its predecessors. Early 225s weren’t quite right, but Renault tweaked the formula and gave us a belter of a hot hatch, which eventually led to the R26.R, probably the best car it’s ever made. When looking at the next generation onwards, you could argue true legendary status wasn’t achieved until the 275 Trophy came along, later refined into the Nurburgring-slaying Trophy R.
The latest ‘280’ RS is best viewed as a solid starting point that doesn’t quite reflect what we know Renault’s Dieppe-based wizards are able to achieve when they really cut loose. Already, though, there’s a Trophy version, so is this the one to have? Is this the final form? On the basis of what’s been changed here alone, you’d be forgiven for being doubtful. The adjustments amount to a small increase in power - with the 1.8-litre inline-four turbo now making 296bhp - a louder exhaust, grooved bi-material brake discs that have better heat management properties, fancier wheels and a lightweight battery that sheds 8kg. 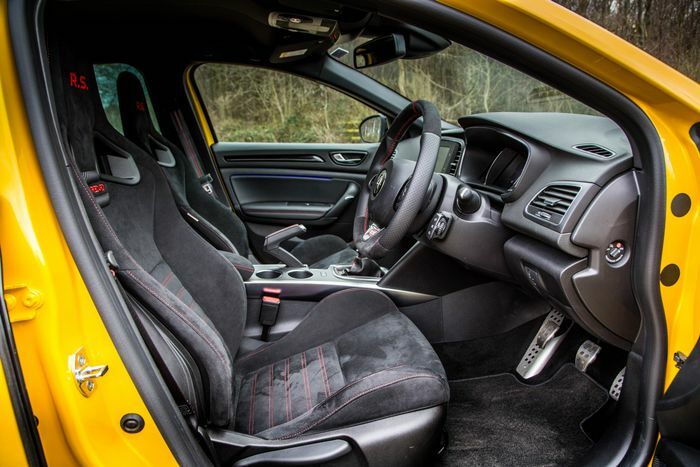 There are also new options in the form of some Alcantara-clad Recaro bucket seats and lightweight 19-inch wheels wrapped in stickier Bridgestone Potenza 007s. 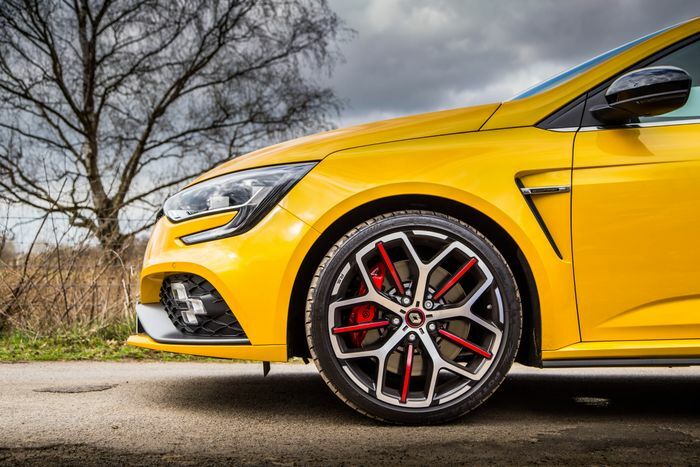 Unlike the old Trophy, you won’t find Michelin Pilot Sport Cup 2s on the menu - Renault says many 275 Trophy customers found the semi-slicks just a little too extreme. As for the suspension, it’s no different to a 280 with the optional Cup setup. The difference between it and the standard ‘Sport’ chassis is bigger than ever before, with the shocks stiffened by 25 per cent, the springs by 30 and the anti-roll bars by 10. It certainly sounds like it’s going to be more of the same. But, thankfully, that’s not the case. All those tweaks have a transformative effect on the RS, turning it into the car I was hoping for the first time around. The powertrain side is a big part of it. The figures may not be all that different, but there’s now enough poke for the 1.8 to feel like it’s actually taxing the Megane’s chassis. The inline-four is more eager and responsive, too - to compensate for the bigger compressor wheel, Renault Sport switched to a ball bearing turbo setup, the first time it’s ever done so. Where the 280’s exhaust note underwhelmed, there’s a much moodier growl to the Trophy when you hoof it. Change gear, lift, off, do pretty much anything, and a series of pops, crackles and bangs will explode out of the centre-exit exhaust. 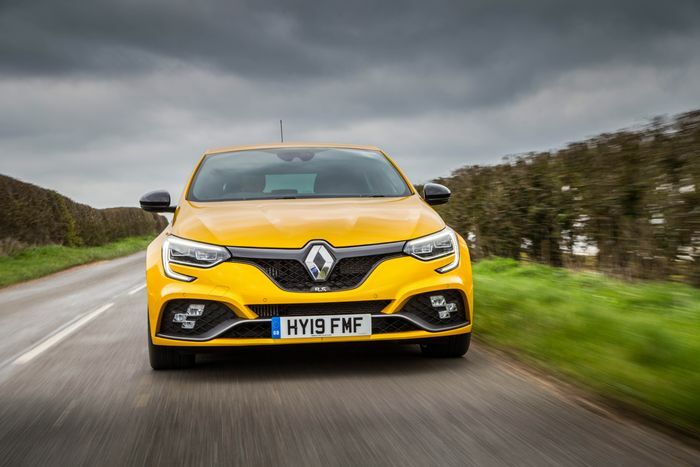 Factor in the uncompromisingly firm Cup chassis, the absurdly quick steering, the torque steer and the often grabby Torsen differential, and you have a driving experience that’s best referred to as ‘frenzied’, or perhaps even ‘rabid’. There’s no relaxing when driving this car, and that’s quite refreshing. 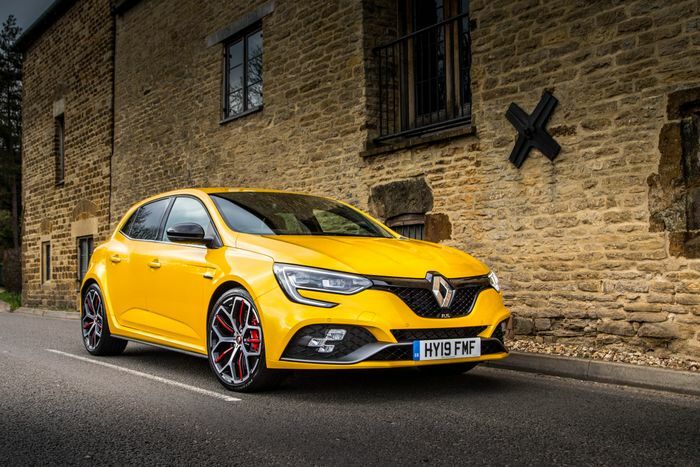 The Trophy ticks that oh-so-important hot hatch box - it feels like it has just a little too much power. But that’s not to say it isn’t capable. The ride may be at times painfully stiff, but somehow, you aren’t left skipping and bouncing around nervously. Body roll is barely there, and if nail it far earlier than you should during a corner, the 245-section front tyres will dig in, cling on, and hurl you out the other side. 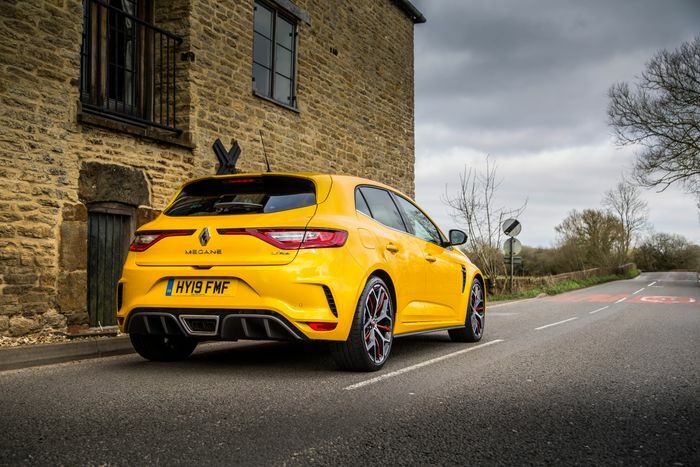 This is no longer a special thing - we’ve become accustomed to this sensation in modern hot hatches with limited-slip differentials and comedic power levels, but the Megane RS has a little trick up its sleeve that makes it feel anything but ordinary in particularly technical corners: rear-wheel steer. If you’re under 37mph, the rear wheels will steer in the opposite direction to the fronts, making the RS all pointy and agile. Go above that, and they’ll turn the same way, increasing stability. And you can often feel a little nudge from the rear as the car rotates ever so slightly. It’s an odd sensation, but one you grow to like. Would I trade it for the more natural rear-axle playfulness of the old RS, though? Probably. Missing that wiggly backside isn’t the only thing that puts me off the Trophy, however. Like the standard RS, the interior isn’t the nicest, and the infotainment system is clunky enough to make many swears happen. There’s a pleasant meatiness to the gear shift, but it’s quite notchy in the middle. And, once again, we do have to bring up the ride. 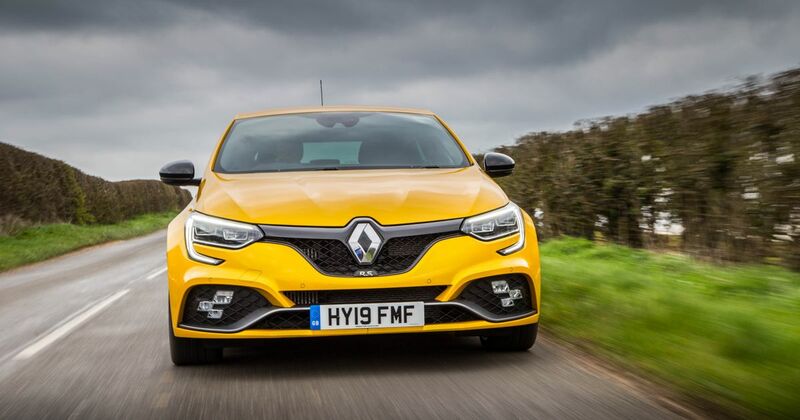 It’s commendable that Renault Sport has stuck to its guns and given all types of Megane RS passive dampers. A conversation about adaptive systems was had during development, but as RS engineer Fabien Berthomieu maintained at the UK handover event, such a setup is inherently compromised, since you’re only changing one aspect of the suspension - the shock absorbers may be getting stiffer, but nowt else. That I get, and I do like the idea of nailing your colours to the mast when you’re on the configurator, deciding what kind of hot hatch driver you are. But the reality is you have to accept a big decrease in day-to-day comfort if you want the more rewarding driver’s car. If that’s something you’re happy to do, the Trophy become a bit of a no-brainer. Spec a £27,835 280 with a Cup chassis, bigger wheels, the fancy brakes and all the other trinkets the Trophy has included, and you’ll end up with something that costs more than the £31,835 RS 300, but without the extra power, the ball bearing turbo and the noisier exhaust. But that’s not why I like it. I like it because the Trophy proves is that the 280 was actually much closer to hot hatch greatness than was previously apparent. It just needed a little nudge over the line, with all those little changes adding up to a surprisingly different car to drive. Is it the hot hatch to have? Perhaps not - there are some much more well-rounded rivals out there right now that are as capable but easier to live with. But for pure excitement and involvement, the Trophy is up there. If Renault Sport turns this into an R, it’s going to be mesmerising.